Mirror Therapy Adria instructor, Jasmin Avdović, in conjunction with head therapist Anđelka Pjanović and colleagues, Smiljka Pavlović and Milan Kecman of the Physiotherapy Department of Dr. Miroslav Zotović Rehabilitation Clinic, organized a successful, full day MT Workshop at the clinic in Belgrade-Republic of Serbia, on March 03, 2018. As always, the main educational target was phantom limb pain and phantom limb sensation and how the method of Mirror Therapy based on ETPP guidelines, deals with those problems. 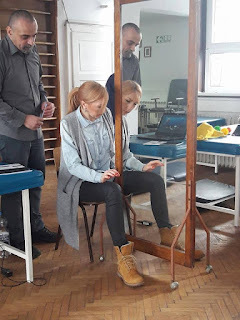 Spasticity affecting limb function and CRPS in persons suffering from hemiparesis, as n.fecialis paralysis, were also shown be helped with Mirror Therapy to achieve rehabilitation goals. 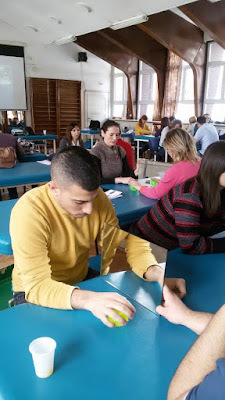 The outcome was that twenty-five Serbian physiotherapists were certified as Mirror Therapists, Seventeen attendants were from within the clinic, and the remainder from northern and central Serbia. Three of these physiotherapists were from the near-by Prosthetic Clinic. Since 2016, the time of the last Mirror Therapy Workshop held in Serbia, the number of certified Mirror Therapy practitioners in the country has jumped from six to thirty-one. This rise might be partially credited to the costs of the education unexpectedly becoming available as government scholarships.